Moshe Feldenkrais, D. Sc. (1904 - 1984) began developing what has become known as the Feldenkrais Method after he sustained a crippling knee injury while working in England during World War II. His own recovery process and subsequent wide-ranging research resulted in the creation of a unique educational system that incorporated his background in physics, Judo, and his lifelong interest in human development. By the end of Dr. Feldenkrais's life, the Feldenkrais Method had an international reputation, and he had trained a significant group of people who still carry on his work today. The Esalen workshop recording offers a broad range of movement lessons ranging from introductory lessons to standing on the head. The lessons include versions of classic lessons not seen elsewhere and a range of powerful lessons unique to this setting. Although recorded in 1972 on one of Dr. Feldenkrais's first trips to the United States, the recording quality is very good. The South Bend Workshop is oriented to the beginning student, yet many of the Awareness Through Movement lessons are new and not to be found on any of Dr. Feldenkrais' previously released materials. It is fascinating to see how he is able to bring a group with a wide range of abilities and ages to a level where they are all successfully doing quite challenging lessons. The South Bend Workshop is a valuable resource for your own self-study and both the lectures and ATM's can be used for showing to your public classes. This particular series of lessons will be of special interest to Feldenkrais practioners, physical and occupational therapists, and for anyone involved in human locomotion, and in its rehabilitaion. These classic 1982 lessons show Dr. Feldenkrais in top form and provide a fascinating insight into the integrated theory and practice of Functional Integration. San Francisco Evening Class Volume I is one of our best-selling CD programs and Volume II has the same outstanding clarity and high quality. Each Awareness Through Movement exercise is easy-to-do and attends to a different aspect of human movement. Whether you are experienced or a beginner, you will be amazed with the results from each of the lessons. 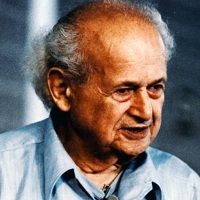 The Quest series were Moshe Feldenkrais last public workshops, and are an important part of his legacy, representing the apex of his creative output, and the height of his public teaching. This extensive recording of the five-day New York workshop, contains seven lectures and 19 Awareness Through Movement lessons. This series was designed and recorded for the active senior. The lessons employ gentle but effective strategies toward improving balance, coordination, flexibility and overall proprioceptive orientation. They represent Moshe Feldenkrais’s warmest and most personable recorded teaching. However, we do not recommend it for people with no prior experience with the Method as Dr. Feldenkrais is not always easy to understand. Some prior experience with Awareness Through Movement is recommended. Volume III of Dr. Feldenkrais' San Francisco Evening Class Series offers the more advanced lessons taught to the public during the San Francisco training. It continues to offer the same clarity and high quality as Volumes I and II, while brining new challenges to the student. Because of the challenging nature of these lessons, we highly recommend that those purchasing the third Volume have some experience with Awareness Through Movement. Prior experience with Awareness Through Movement is highly recommended. This best selling book contains 12 easy-to-follow Awareness Through Movement exercises for improving posture, flexibility, breathing, coordination. Each exercise concisely demonstrate Moshe's ideas while helping you to improve your movement habits and focus new dimensions of awareness, self-image, and human potential. "In order to change our mode of action we must change the image of ourselves that we carry within us." —Dr. Moshe Feldenkrais, "Awareness Through Movement"